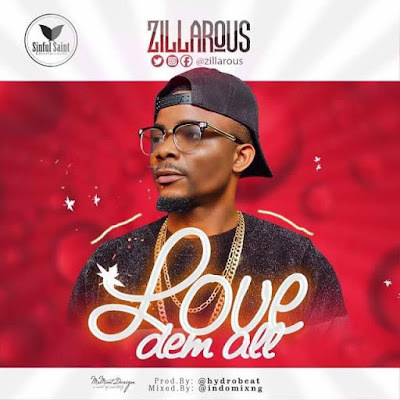 Zillarous started music at a very tender age even before he was admitted to Delta State University, Abraka where he graduated as a computer engineer in 2014. In 2013 he broke up from the group and became a solo singer that has given a new phase to his music career and in 2017 Zillarous and his Brother Lexi co-opened a record Label Sinful Saint Entertainment (S.SE) where he drop his first official single Love Dem All. Zillarous came through with this Hydrobeat produced catching tune titled “LOVE DEM ALL” which was mixed and mastered by Indomix. Download, listen and share your thought below.